HUD homes are homes that are owned by the Department of Housing and Urban Development (HUD). They are classified as a special type of housing for people who have less than typical chances of being able to afford a home purchase. Specifically created for those people who live on minimal budgets and deserve the same joy of home ownership as others, HUD homes can be a great way for anyone to invest in a home even when they thought that they'd never get the chance to buy their own place. Who Can Buy HUD Foreclosures? Anyone that can work with a real estate agent to submit their bid to HUD can buy HUD foreclosure homes. Instead of buying foreclosures from a bank or lender, or buying a home from a private seller, you will be buying your home from the U.S. Department of Housing and Urban Development. As such, you should still find affordable deals, but you probably won't have as much bargaining room as you would with another seller. Considering that these homes are usually already priced at bargain rates, that shouldn't be a big deal. As long as you can find a realtor that is licensed to sell HUD homes, you shouldn't have trouble putting in your bid. What is the Difference in HUD Houses? Nothing, really, aside from the owner. The homes themselves are generally in good condition, unless they are as-is foreclosures that are in need of repairs. They are sold and purchased just like any other home. The only real difference is that they are owned by the government and might have stipulations as to how they can be sold. In some cases, HUD will declare certain homes to be subject to Section 8 housing regulations or other standards, but this is rare. The one thing that can be beneficial about HUD homes is that you can get assistance from HUD in purchasing them if you qualify. For a full list of HUD homes near you, along with foreclosures, pre-foreclosures, for sale by owner homes, and more, sign up for your 7 Day trial of our services today. We'll get you exclusive listings to the best homes for sale at the best bargains that you'll find anywhere. With all of these great cheap homes out there, why would you pay more to buy a home from a typical seller? 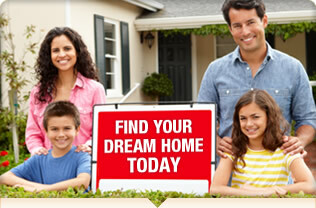 Sign up now and start looking for your new home immediately!